In the early 2000’s Delaware County north of Columbus Ohio happened to be one of the countries highest rates for suburban growth during the US housing boom. As Suzi Gablick describes in her book Reenchantment of Art, "In modern times, the basic metaphor of human presence on the earth is the bulldozer." 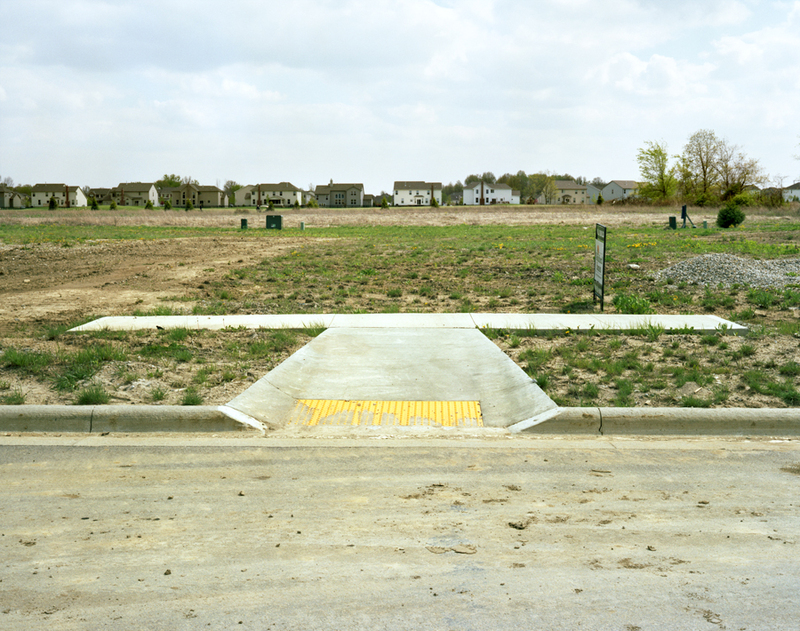 In these images I am interested in exploring the notion that suburbia is deeply part of the American psyche, a present desire to wish to live on the frontier. 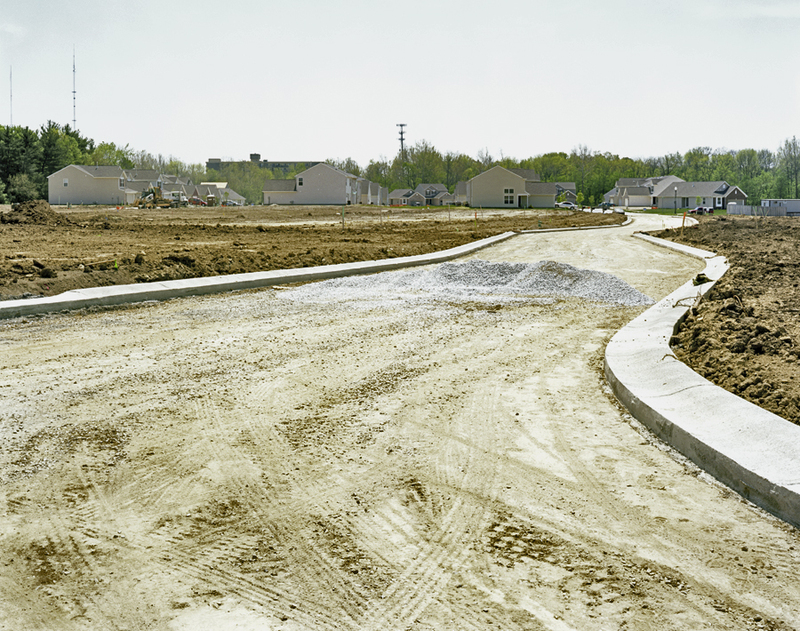 In these photographs, the land become the predominate subject of these images, filling the foreground almost entirely with large expansive space, while developments hide the horizon line. These housing developments, lots, and expanding boarder between the urban and the agrarian become a landscape about land value. The fences and signs from construction visually divided the land while promising an attainable quality of life. 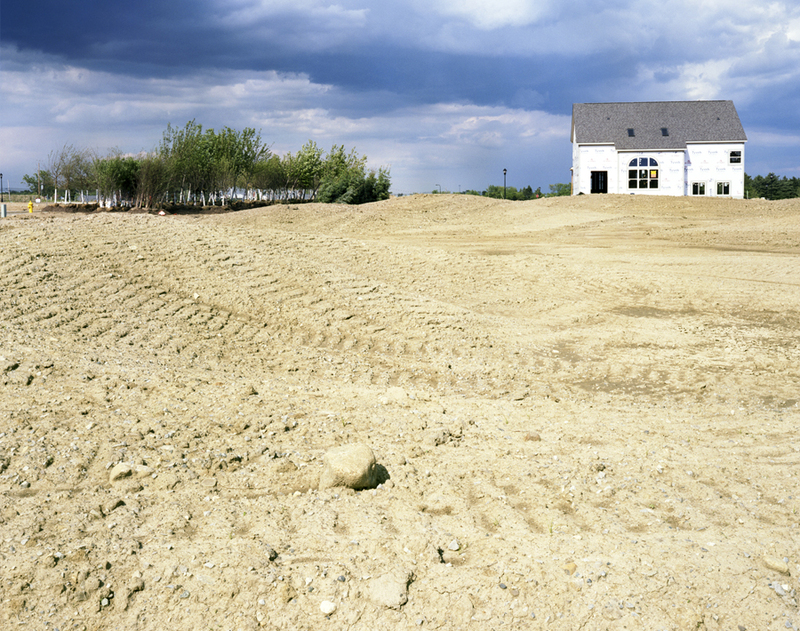 When the housing bubble burst two years after the making of this work, the banking policies to fund the development for properties similar to these photographs, contributed to the US recession. People lost their homes and jobs while several of these communities were left unfinished.